It’s finally here – the long awaited eToro trading update for 2015! I know that many of you have been waiting for an update from me on eToro since last year and I’m very sorry that it took so long for me to get this done. You know how it goes – there are always too many tasks on your plate and there have always been other topics of higher priority that I needed to cover on my blog. But as it turns out, I’m actually very glad that I didn’t write this update earlier as just last week, eToro launched a brand new, totally revamped stats page, which we’ll cover later on in this post. So this will be the latest, most up to date material you could wish for. 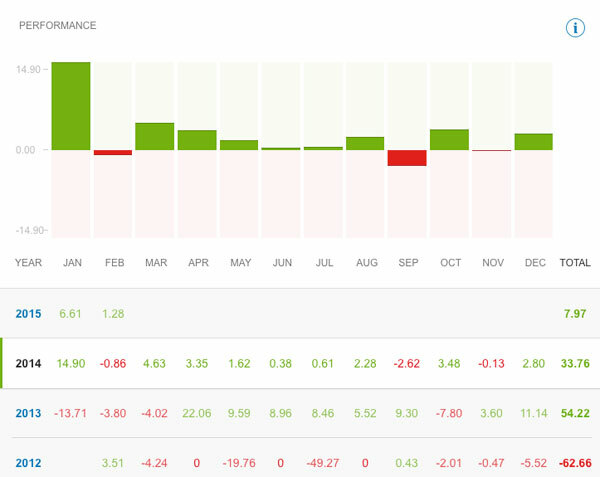 My eToro Trading Strategy – Update for 2013! The first post describes what eToro trading is all about and will give you a basic understanding of how this works and the principles behind my investment plan, which utilises the Copy Trader function on eToro. The second article is an update I did in 2013 in which I go over all my discoveries, tips and tricks (as well as mistakes!) – everything that I learned during the early days of my investing career. Both of those posts are very valuable and still valid in 2015. There are some technical changes that I will cover in this blog post but the overall strategy of copying low risk traders remains the same, as I’m simply looking for a relatively safe investment form with higher gains than bank deposits or property rental. 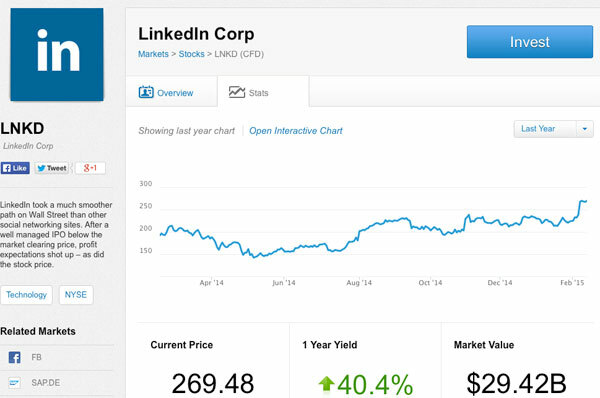 Ok, so let’s cover the latest news on eToro and take a look at how my investment is getting on in 2015! I really wanted to start my update on this topic as there seems to be a lot of misconceptions and false information floating around the net; people saying that eToro didn’t let them withdraw money from their account and other such nonsense. First of all, let’s cover the basics of uploading money to your eToro account. The minimum deposit amount is $50, apart from wire transfer, where the minimum is $500. eToro DOES NOT charge any deposit fees! Meaning the amount you send to eToro will be the exact same amount that shows up in your account. Yes, this even applies to PayPal and credit cards, in contrast to many other companies (such as Ryanair) who charge additional fees. All eToro accounts are held in USD ($) currency and nothing else. This means that when you upload, for example, GBP (£) or EUR, it will be converted to USD at the current day’s trading exchange rate. Yes, this means losing a small amount of your capital as exchange rates are never 100% true to their market value but what I have found is that eToro’s rate are really close to the best rates you can obtain which means the potential loss due to currency conversion is very small. And now on to withdrawals – I have heard people saying that they have problems withdrawing money from their eToro accounts but when asked for more details, it always comes down to problems with their verification and is never eToro’s fault! YES, eToro will verify your identity when you want to make your first withdrawal and all you need to do is send a scanned copy of your ID and sometimes proof of address. This is a common procedure financial institutions MUST do to follow anti-money laundering laws and financial authority regulations, so I don’t really understand what the fuss is all about. Each time I open a new PayPal account, they also ask for various documents, proof of company registration certificate, proof of address and ID – so this is totally normal and nothing to worry about. From what I have learned, most people who complain about this don’t play it by the books – either they use fake names, a made up address or borrowed payment methods. In cases like these, sorry, but there is nobody to blame but yourself. Let’s quickly cover the withdrawal procedure on eToro. An important thing to keep in mind with eToro is that you can only withdraw money to the same payment method you funded your account with. Again, this is to prevent money laundering and tax evasion. For example, someone could upload money from their personal credit card and withdraw it to someone else’s bank account in a different country. To prevent this, eToro withdrawals must be made to the exact same payment method you funded your account with. Pay close attention to these as you don’t want to take out, say $600, with a $25 withdrawal fee when a $500 withdrawal costs just $10 (you’d be better off splitting that withdrawal into two parts). From $1200 upwards there’s no difference as however you split it, the fee will be $25 or more so it’s better and easier to do it in one go. I have personally made many withdrawals from my eToro account and have never experienced even a single problem. Once my identity was approved for my first withdrawal (which also happened very quickly) it’s been 100% plain sailing. And for those people who are worried that eToro may steal their money or scam them in some way – remember that eToro (in the UK) is overseen by Financial Conduct Authority (FCA) so basically gets the same regulatory treatment as any high street bank. All their users’ money is kept at Barclays bank and basically, I just can’t see any reason why eToro would want to scam you in any way. They make money from the differences in buying/selling prices so they’re interested in more customers and higher trading volumes, not stealing money. To sum this up – if you play by the rules, use your real identity and avoid money laundering schemes, your money will be safe with eToro and there won’t be any problems withdrawing it whenever you want. If you have checked out my original eToro Trading Guide here, you’ll know that my overall strategy with eToro is based on a very simple principle of copying multiple low risk, established traders to minimise my overall exposure and potential risk. eToro can be used in various ways, some of which I will cover later on in this post, but for me – it’s just a better alternative to the measly 1% deposit rate the bank offers and even gives a lot more positives than peer to peer investing or property rental. For those of you who are completely new to this whole concept, what makes eToro different from the hundreds of other online trading platforms is that they have a unique feature called Copy Trader. What it does is it automatically copies other trader’s actions, without you lifting a finger; and not just some random trader, no, only those that you yourself select. The minimum amount you can invest in each trader you copy is $100. A few years ago it was only $20 but it’s been raised gradually and is now $100. What does this mean for people who are just starting out? Well, if you want to follow the safe, low risk strategy, it means that it’s not worth even signing up with eToro if you don’t have $500 or more to put into it. That is the minimum amount needed to invest in 5 different traders and in my opinion that is the lowest number you should consider; it allows you to diversify your risk by allocating 20% of your bank to each trader. You can probably get away with just 3 traders but it will increase your risk significantly. To illustrate what I mean, let’s say 2 of your traders have a bad month, then you’re almost guaranteed to be in the red (for that month). The more diversified your portfolio of traders is, then the less vulnerable you are to any individual’s performance. I personally copy 10-15 traders at any given time. I haven’t used the max of 20 as for me personally, that’s too much work monitoring each trader’s performance. I do this just as a hobby and probably spend less than an hour a week on eToro. For people who can spend more time on this, I would recommend copying as many GOOD traders as you can find, up to the maximum allowed limit of 20. Yes, this also means that you’ll have to deposit at least $2000 in your eToro account ($100 for each trader). There’s also a limit on the amount of your equity you can invest in one single trader, which is currently 40%, BUT this doesn’t apply to accounts with a total balance of less than $250. So for example if you have just $200 in your balance, you can invest it all in one trader but if you have a total of, say $500, the maximum amount you can invest in one trader is still $200 (40% of $500). They probably put this rule in the place to protect people from investing all of their bank in just one trader. For me personally this rule doesn’t have any affect as I always opt to stick with EQUAL distribution across the traders I copy. So if I have $10k in my bank and am copying 10 traders, $1000 would be allocated to each (which is just 10% of my equity – far from the 40% maximum). Lastly, there’s also a minimum amount of $1 for trades to be copied at all. So for example – if the trader you copy has a bank of $1000 and he invests $10 in a trade (1%) BUT your bank is $100, the trade will be copied (as 1% from your bank is $1). On the other hand, if the trader’s balance is $10,000 and he invests the same $10, which is now only 0.1% of their bank, this trade won’t be copied as for your bank 0.1% is just $0.10 (less than the $1 minimum). And it’s actually very understandable why eToro introduced the $100 minimum copy trader amount as otherwise lots of trades wouldn’t be copied which would lead to completely skewed results. All in all, this game isn’t really suitable for people who have just $100 to invest. You need at least $500 to do it safely and ideally that figure should be $1000+ so you can copy at least 10 traders by investing $100 in each. NEW Filters to search for People! As you have learned so far – my system is based on the Copy Trader function on eToro and more specifically – in copying multiple, low risk traders with established track records. 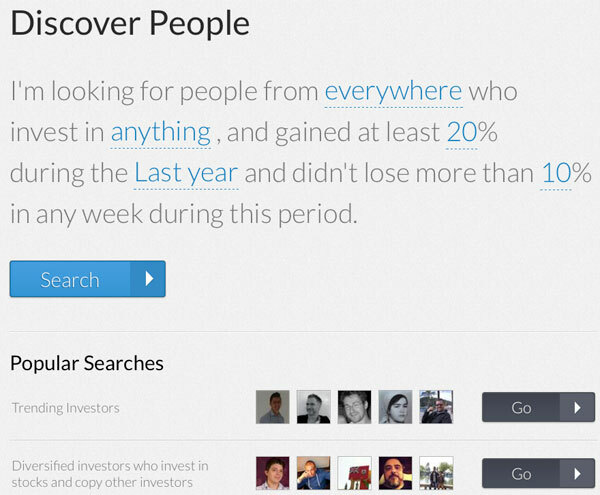 How do you find those people on eToro? Well there are various ways you can do this but my favourite one is to use the search function with advanced filters. Oh boy, I’m so happy that eToro finally fixed the filter problem and even expanded its functionality. Last year there was a period of several months where none of the filters were available and it was really hard to find traders using pre-set criteria. Luckily now we have a brand new, super customisable search function which makes it incredibly easy to find traders who fit the exact profile that we’re looking for. A customisable search function where you can select some filters to sort traders by such as the country they’re in, what they invest in, their specific gain amount over a set period of time, their maximum loss per week in that same time period etc. Popular searches. These are basically presets with some of the most popular combinations people use to search for traders. You can use either of these two methods to find traders to copy. Personally I usually use the first method and then simply use additional filters on the side to further narrow down my results. My strategy and investment principles are exactly the same as three years ago – LOW risk, long term investors with a proven track record. I’m not doing this in the hope of winning the jackpot, far from it; my main goal is to NOT lose any of the money I have invested and to simply beat the return I would get depositing this money in a bank. For the last few years I have managed to achieve this and I hope to continue for years to come. The default search criteria of 20% gain in the last year and a max loss of 10% in any given week is a very good starting point. 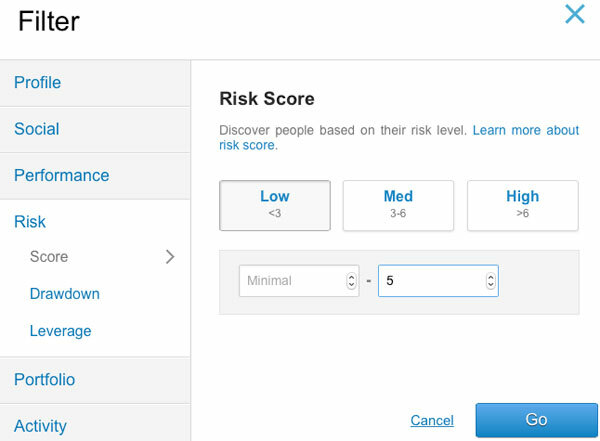 One filter you can instantly adjust is the risk score. I personally set it to the max of 5, to filter out any traders who follow a risky approach and invest large sums in individual trades. At this stage, you’re just looking for traders to analyse as you can’t make any decisions from the search results alone. The next step is actually far more important as by looking at a trader’s stats page, you can actually decide whether or not you want to copy them. It wasn’t really very clear when a person lost money or when they made a profit, but with the new monthly charts this is very easy to understand. And if you need a linear graphic, you can always put these numbers into Excel to get that as well. Below the chart you can click on previous years to show full monthly data for each in the graphical view. I personally don’t copy traders who don’t have at least ONE full year of trading history, ideally two years. So now, in 2015, I would only consider copying traders that have a full set of stats from 2014 behind them. 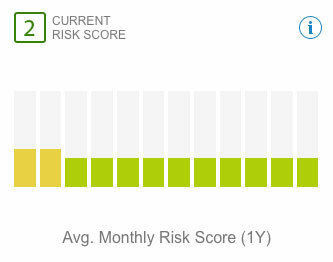 Risk score. It is an indicator from 1 to 10 which shows how “aggressive” the trader is in his/her approach. You can read the exact definition on eToro itself but to put it simply, it rates the amount of risk that trader takes, i.e. what percentage of their bank is invested in individual trades, how long negative trades are left to “ride” and so on. This is one of the most important numbers to consider and I usually try to stick with GREEN only, which means a risk indicator of 1-3, but in some cases I will also allow 4 or 5 (at a max) and this really is an exception to the rule. Basically you want to stick to green (1-3) for the most part, allowing some orange occasionally (4-6) and never red (7-10). Copiers. This shows how many people copy that particular trader. But it only shows the trend for the last 7 days so it’s really not that important. I wish eToro would allow us to set a custom data range for this to see the full picture as seven days is really nothing and you can’t base any decisions on that. AUM Range. This one is very interesting as it shows the total amount of money all copiers have invested in that trader. It’s interesting because nowhere else on eToro do we see any amounts of money invested – it’s either prices or percentages but not actual amounts. There’s no real value in this other that the interest in knowing how much that trader has attracted in pure money. Max Drawdown. This is another very important indicator I pay close attention to. It shows the % of a trader’s portfolio that has been in the NEGATIVE at any given time. So for example, if a trader’s capital is $1000 and at one stage negative exposure was $400, it means drawdown for that period was 40%, which is a lot (almost half of his bank). 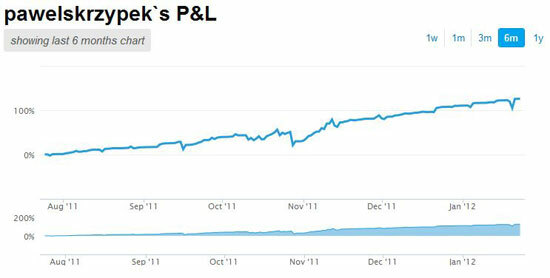 I would recommend you stick with traders who don’t exceed 20%-25% max drawdown for Daily, Weekly and Yearly Stats. This would again prove that it’s a conservative investor who does not gamble and take unnecessary risks. Total Trades. I prefer copying traders who are active and make at least a few trades a week. I definitely stay away from traders who make less than 10 trades per year as traders like these are very risky and just a few unsuccessful trades can wipe out the positive balance they have made. Ideally I like to copy traders with more than 100 trades per year to minimise the effect a single bad trade can have (as they are of course inevitable). Avg. profit/loss – I don’t care much about the average profit number BUT I don’t want to see average loses on the high side, say above 30%. Again, this is just another indicator that shows how safe the trader plays it. If the average loss is 50% that is a clear sign that a lot is risked each trade (stop losses etc. aren’t in place) and negative trades are left for a long time – which to me shows someone just hoping that it reverses. I’m not looking to copy gamblers here so I simply avoid traders who lose a large amount on individual trades. Apart from the Stats page, you also want to check out their Portfolio and especially the Open Trades page. In Portfolio you can see which sector a trader mainly works in, whether he invests in other people too (so copies other traders) and what amount the trader keeps in his account at any one time (balance). You can set a custom date range here with up to 3 years of history. This pretty much summarises the new Stats page; while I have given you some of the most important indicators to look out for, you have to understand that there’s no single formula you can use to automatically get the best, risk-free traders to follow. Reading the stats page is a skill in itself that you’ll pick up once you start and only with time will you learn all the small details that will help you choose traders. In the past it was simpler in terms of picking traders to copy as there were just a few simple filters – now, we have so many options for analysing each trader that such a formula just doesn’t exist. But it’s very good that eToro now offers so many filters, custom data ranges etc., as all of this allows us to see a much better and clearer investor profile. And while past results clearly don’t guarantee future profit, it’s a terrific way to choose traders whose approach you want to mimic and who fit your own investment profile. It’s certainly a huge advantage to blindly copying people without any real data to back up your decisions. So yes, my advice is – if you want to do this, just sign up for an account and start reading stats pages for traders and soon enough you’ll read and understand them like a morning paper! While I’m not a huge fan of day trading, long term investment in stocks, indexes and commodities is something I have played with. Of course, after my saga with oil prices, I’ve kept away from commodities! Luckily I got out with minimal losses as can you imagine if I’d let that trade ride? Just to remind you, I bought oil at $95 and it currently trades around the $53 mark! Yes, I admit that I’m too stupid for such investments. I haven’t really studied investing as such, apart from reading some Amazon best seller books on this topic but my predictions on oil price were totally off the charts! But the stock market is actually something that could interest many people – people who have always wanted to invest in stocks but have been put off by the technicalities of the whole process. eToro now offers many stock options for all the major companies around the world and the investing process is so easy that a 5 year old child could do it. All you have to do is pick the company you want to invest in, set the amount and confirm your order. You can invest as little as $10 in each company and can buy more stocks any time you want, or sell any time you want of course. You don’t even have to buy full stocks like you do via most brokers – you just invest a set amount of money, no matter how much one individual stock actually costs. 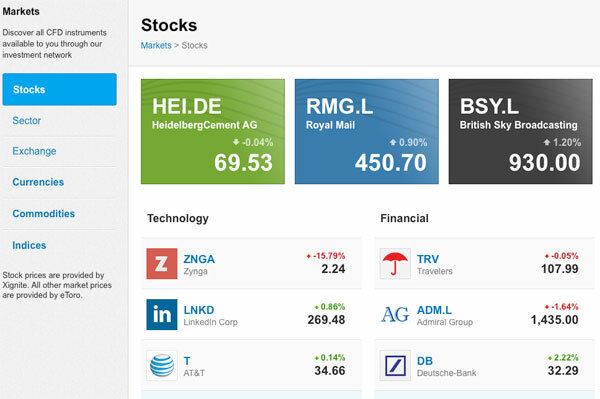 You can also check out stats for each stock directly on eToro. Unfortunately they only show price history for the last year, which is a shame as I always want to see at least a five year trend and ideally – from the launch day of the stock in the market. This is very handy if you follow any basic peak/bubble theories and want to buy when the price is LOW and sell when it’s HIGH! Again, I’m not a professional investor so won’t give you any specific advice on investing in stocks here – I just wanted to point out how easy it is on eToro to invest in stocks, indexes and commodities. I have been in profit every single year, using the Copy Trader system. That’s good, right? ABSOLUTELY! When I first started this adventure, I was obviously very sceptical and anxious. Investing ten thousand in a brand new company (at that time) with a completely new, never before heard of copy trader function. In a word, that was a huge gamble, and I’m fine admitting that; but as the years have gone by I’ve become more and more comfortable with my eToro investment, to the point that now I’m not worried about it in the slightest, especially considering that I withdrew my initial investment more than 2 years ago. Well, this may not necessarily be bad news, but more of a realisation that my first year with eToro was lucky – extremely lucky! Making an ROI of more than 100% in just one year is huge, and frankly that was amazing. But now I realise that it’s completely unrealistic to expect that year in year out and real long-term gains are significantly smaller. A more realistic approach/expectation is to make around 10% – 30% ROI per year, maybe 50% if you put a lot of hours into it and really know what you’re doing. But yes, in year 2014 I made an accumulated return of 27.85% and I still believe that’s superb! I would have never been able to get close to such a return from a bank deposit, peer to peer lending or even from property rental. 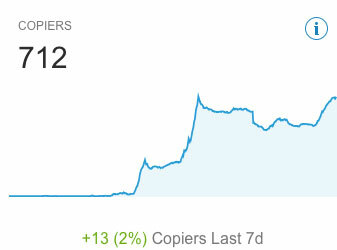 So I’m very happy with the results I’ve achieved with eToro, and Copy Trader specifically. 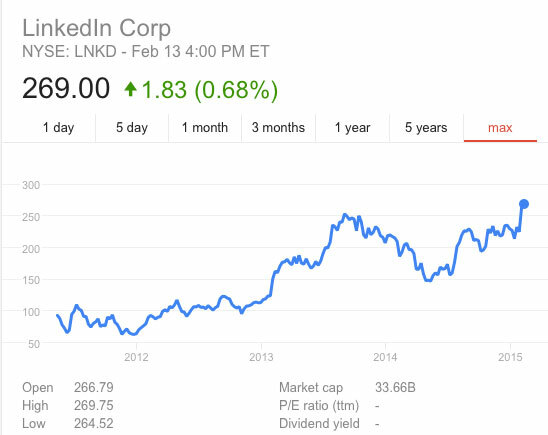 I have also started investing in stocks, mostly in internet/tech companies as I feel somehow close to that market. But stock investments account for just a few percent of my portfolio so it’s not something that can greatly affect my ROI. Wow, this has really turned out to be a long post. And I could go on and on about eToro and various aspects on this investment strategy but the truth is – I really can’t teach you any miracle formulas here as there’s just no such thing. You have to learn the basics of eToro trading on your own, by opening an account and making that initial deposit of a few hundred dollars/pounds/euros. I cannot stress enough that I don’t see this providing a full time income stream, unless you want to become a full time day trader that is. I have gone down that road myself, many years ago, when I was deeply involved with Betfair trading and the truth is – it’s just too stressful for me. I don’t want to sit looking at numbers all day long, hoping they go in the direction I want. It’s just not the lifestyle for me, with the family and responsibilities that I have. I also can’t see myself investing all of my savings into eToro either, even though I know it’s pretty save. Yes, ‘playing’ with £10 or £20k is one thing, but I could never risk everything on one strategy… you know, the whole all your eggs in one basket thing. 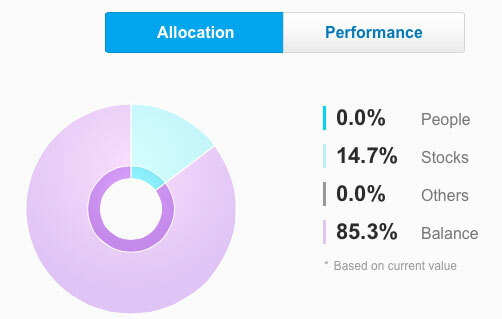 I do love easy income that comes from renting properties, even though the gain is not close to eToro. I also like playing with peer to peer investing, which is almost as safe as a bank deposit but with a higher ROI. I do these investments because it’s fun and helps me relax and switch off the eCommerce side of things and obviously – helps me generate money. You know, I actually never thought that having “spare” money can be such a big problem…. You can’t just let it sit there as inflation will eat it up; even a bank deposit is not the solution as even then you’re only just barely ahead of inflation. That’s why I invest money in various instruments, to diversify my risks and fight against inflation. It’s not so much about making huge profits as it is protecting my savings and making sure they don’t LOSE value. We all know the current worldwide economic situation – we’re barely over the 2008 crisis, to say the best. Yes, stock prices and indexes are rising, but for how long? 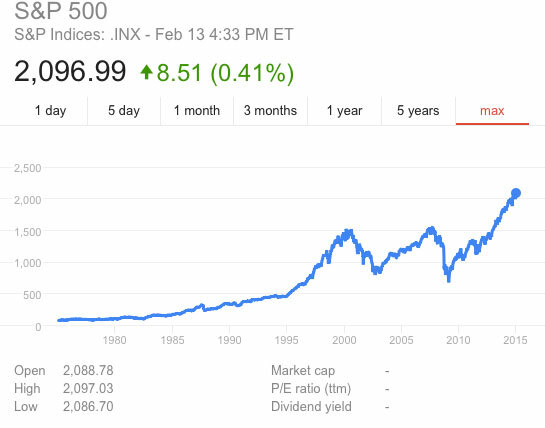 I’m no expert but if you look at the current trend of indexes, doesn’t it look like another bubble is ready to burst? It’s really not even a question of IF, but rather WHEN. Not talking about the current situation in Ukraine – how it will end, how it will affect all of us? Throw Greece into the mix and you really can’t predict anything! Anyway, enough of my rant! This post is about eToro and how you can use it as an investment instrument. As I said, even though you probably won’t be achieving 100% ROI per year, I still believe it’s a great platform for new investors to use and diversify their portfolios. There are no strict formulas to follow to find investors to copy so I recommend you just get into it and get started! Best part is that IF you stick with low risk investors and diversify your portfolio across at least 5 different traders, losing your money just like that in a single day is very, very unlikely. You may not make much in the beginning and might even make a small loss, but losing your entire investment – that’s practically impossible. Still, I wouldn’t recommend investing all your savings in eToro or worse – borrowing money to invest! No, don’t do it! You should only invest money you can afford to lose. By that I mean – if you lose that money, your lifestyle won’t be affected in any meaningful way. For some it may be a few hundred quid, for others – a few thousand. But the principle stays the same! Ok, that’s it for today. I hope this was interesting to read, especially for people who are new to investing with eToro. I have read your article it is very helpful. I am trading on etoro for some time now but I haven’t yet withdrawn any amount of money. I have a verified account since I have sent them all the necessary documents before so I believe that I do not need to send the documents again while trying to withdraw money for the first time ,correct ? My second question is also about the withdrawal process. I have deposited by now several times some amount of money via my debit card. Reading the text this means the only way to withdraw money from my etoro balance is back to my debit card? If that is the case do I later need to transfer that money to my bank account from my debit card or can I spend the money straight from the card in shops stores etc ? Also if for example I fund my etoro account in the future via Skrill or Paypal that means that I have several options of withdrawing money ( Debit card, skrill, Paypal ..) since I have used several different methods of deposit. .. Thank you very much ! If you have sent all the documents, verified your account, it should be all good. The best/easiest way to withdraw money from eToro is directly to your bank account as there are no limits. I understand that eToro is an Israeli company based out of Cyprus. I don’t feel as confident as you that if someone chose to run away with the money on a Friday afternoon there is much that could be done to stop them. The FCA is about process control not financial protection. When i buy shares through an online broker, my money is usually in the shares which can be recovered in the event of the broker folding. I actually had this happen in the UK a few years ago. It took six months but my stocks were reallocated and i even got my cash back the broker was holding. In this case it is not clear to me where the money actually is . The fact that i have to pay a weekend fee seems very odd to me. eTorro are pretty vague on how the funds a re looked after. Everyone who invested in Madoff got paid right up until they didnt. Yes, I agree – if you want to do classic investing in stocks, indices etc., eToro may not be the best option. But eToro is all about social tracing really, about copying other traders etc. That’s the main feature traditional brokers do not offer. I have read your article and many others articles as well on etoro platform. Everything about it looks satisfactory apart from withdrawals. Its one thing to make money and its whole different story when it comes to withdrawing it from etoro. I have read a lot of negative comments about withdrawals when it come to etoro (and most online trading platforms). Lot say etoro give excuses as to why they couldn’t process. Most cases i have seen are those who started with small investment ending up with huge profits and etoro being reluctant in allowing them to withdraw. I have my own demo account. I only used $10000 out of $100k provided and made $17k within 3weeks. I never use more than $10k to trade. So the virtual balance was always @ $90k. I sometime split this $10k and invest is different categories. I watch the investment like a hawk and that is how i made the said profit in 3weeks. Now given it is real money, will etoro allow me to withdraw my profits just like that? All the time spent on watching/learning and investing will be for nothing if it is true about etoro being shady when it comes to investors withdrawing huge profits with little investment. I would like a detailed response from you as i believe that you might have the right answers regarding this issue i am worried about. I have NEVER had any problems withdrawing money from eToro. First time you do it, you need to verify your account – that’s the procedure in all such brokers. Taking your advise, ill do my first deposit and try how it goes. So once i do the proper account verification as in all documentation and bank details in my own name, i shouldn’t have issues withdrawing right? What do u propose? Small deposit(1000$) or Medium (10000$) to begin with? Well i am not a person who points finger when all go south so advise me on this dude. Yes, if you do it by the rules, use your own identity etc., there shouldn’t be any problems withdrawing your money. I would recommend starting with $1000 – stick with it for at least few months, learn how everything works inside out and only then increase your bank. Have you stayed with any traders you copied ever since you started in 2012 ? I don’t have records but over 4 years I’m pretty sure I have changed from first list I started with 100%. Can you please comment on how the fees affect your profit? I was referring to etoro’s fees. I Have recently inherited some money and instead of spending it all I wanted to invest some of it and aim to make more. I was thinking of investing $500 initially while I am at university (I start in September) and seeing how it goes for 4-6 months and then maybe invest some more. I would use similar tactics to yourself and be extremely careful with my money as I am not greedy and will accept any profit that comes my way. So really my question is, would you recommend E-Toro to a student like myself and would it be possible for me to lose all of my investment quickly (even if I use your tactics)? I can’t say whatever this is for you or not as I don’t know you but IF you stick with conservative approach (like I do) and split your investment across several traders or different markets, chances of losing your money quickly are very, very slim. But as with any investments, there’s of course risk involved and you have to fully understand it before making any investments. I’ve been using this as a set of guidelines when choosing a trader to copy. Thank you! My question is after I’ve used your strategy on how to choose a trader, how long should you typically stick with a trader before you stop copying them? The reason I ask is that I’ve recently signed up and copied 5 traders using your strategy. However, although their stats initially say they are a good pick they have all been down for the first week. So, in your opinion how long should I stick with them before I stop copying and moving to another trader? There are no set rules here as I always look at temporary performance in trader’s long term history perspective. So for example, if trader has been showing very good/steady results over last 2 years, I won’t drop it after few weeks of bad results. On the other hand, if it’s a fairly new trader with no long term history, max I would go with such trader, going in red, would be probably 3-4 weeks. I would like to join Etoro, but when I try it states not available in the US. Is this correct? If so, when can I hop it to available to the U.S.? Yes, sorry, eToro is not available to USA customers at this time. What would you advise setting your CSL for each trader, etoros default is 40% but most traders request 95%, 95% seems risky to me and I still dont understand the reason they request this. Firstly thankyou for all of your advice re the amateur use of eToro. I have been toying with this idea for a long time but didn’t feel confident to take to plunge until now, so thanks for giving me that boost. I have one major concern left really, which is that following extensive time searching eToro for traders to copy, there is never really more that 2 that meet your stringent bill of health (risk at 5 or below, no lengthy open trades with losses, average loss no more than -30%, max draw down not sky high etc etc). What I am struggling with is understanding what areas are sensible to compromise on within your suggested filters/criteria across all 3 of your blogs. It is obviously working out for you as you’ve found 10-20 traders to copy. At the moment I have 5, but feel very uneasy on 3 of them… And it took about 8 hours to settle on them!! Yes, it’s not easy and takes time to find good traders. My nr.1 filter is RISK indicator, I try to stick with 5 or less. Other elements I check out closely and just make sure the trader overall is low risk follower. So yes, I do make exceptions as otherwise it would be impossible to find that many good traders. Long track record often offsets some of the negatives in trader’s profile. If for example trader shows good overall profit for last 2 full years, I can live with some indicators going above my ideals. Hi Andrew, excellent update as always, thanks. …after reading your original post I set up on Etoro and adopted a similar strategy across 11 traders. I have entered with a very cautious approach gradually increasing equity invested and currently up 9% over 7 weeks on total equity…early days but its going in the right direction. A practical question …what’s your personal preference for deposits / withdrawals out of CC, Neteller, WT, Paypal …etc ? I orig used CC for deposit but considering Wire Transfer..thanks. I personally use wire transfer (bank transfer) for withdrawing money from eToro. Thanks for that Andrew…saves me a bundle of time comparing the other methods. Just to mention also, I purchased your easy auction business course earlier this week…30% through it and I got to say its excellent …crystal clear step by step, really well presented and no stone unturned…will get back to you on the relevant forum with a bundle of questions after completing it! Andrew, firstly thanks for this article, its been very helpful as are the updates, just one question. On the performance graphs that show a bar chart and the years from 2012 to 2014, the greet and red numbers under each month, do they signify the percentages made and lost? and if so, when you look at traders performance graphs are you looking for graphs that show each month at around 10% and the complete year averaging at 100% to keep with your 10% per month growth. Yes, they show profit (green) or loss (red) for that particular month. No, I don’t aim for 10%+ each month, I mostly look at the yearly total profit figure. But I try to stay with traders who have just few red months per year, not risky ones who have say 6 green and 6 red months per year. usually I stick with 10%, very rarely going as high as 20%. 5% is a good, very low risk strategy though but it could limit your potential profits. Congrats, it looks like etoro has served you well Andrew and you’ve employed some great practises. I do think that with global stock markets reaching new peaks recently that you have ridden a upward wave over the last few years. As you say, there are ups and downs but the trajectory has been up. It could go very differently if the trend was opposite. £1349 Last Month on eToro, Working Just 4 Hours! Andrew , my question is about scanned copy proof for address for veryfai. Again excuse me for my bad english. With such specific questions, you really need to contact eToro directly to fins best solution. Simply use their live help chat function and ask them this question,. Thanks so much, this is great! I read your post about this after your first year, and wanted to try, but didn’t. I’d really like to try it this year! Thanks for the great, and invaluable information! I really think you should point out to your readers that you are paid by etoro to promote their site. Yes, I have added this at the end of the article, Thanks Patrick. I have this mentioned in my disclaimer but probably it’s best to have it written right in the article.